Left: Guadalupe Rosales. Photo: the artist. Right: Hank Willis Thomas. Photo: Andrea Blanch. 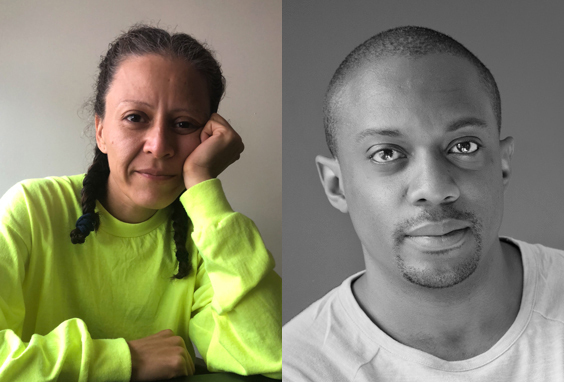 The Gordon Parks Foundation announced that Guadalupe Rosales and Hank Willis Thomas have been named 2019 fellows. The artists have each been awarded $20,000 to support new or ongoing projects that reflect and draw inspiration from the themes of representation and social justice in Parks’s creative work. Each project will culminate in exhibitions that will be held at the foundation’s exhibition space in Pleasantville, New York, later this year. The foundation’s fellowship program was created to give artists the kind of crucial support that Parks received early in his career when he was the first photographer to be named a fellow of the Julius Rosenwald Fund in 1941. The fellowship was established in 1917 to elevate African American artists whose work focused on social issues and education. During the fellowship period, Rosales will continue her collaborations with Latinx and LGBTQ communities, particularly in Los Angeles, that explore how people of color use photography to document and create their individual and collective histories. Thomas will examine the foundation’s archives for a project that will spotlight significant historical moments Parks captured with his camera. Since 2017, the foundation has granted two fellowships each year to support photographers, artists, filmmakers, and musicians in the development and exhibition of new and ongoing projects. Former fellows include Derrick Adams, Deana Lawson, Devin Allen, and Harriet Dedman.